The Death By Coconut is not quite a bomber but it is a big boy! This crafty beer by Oskar Blues (Lyons, CO) is incredible! 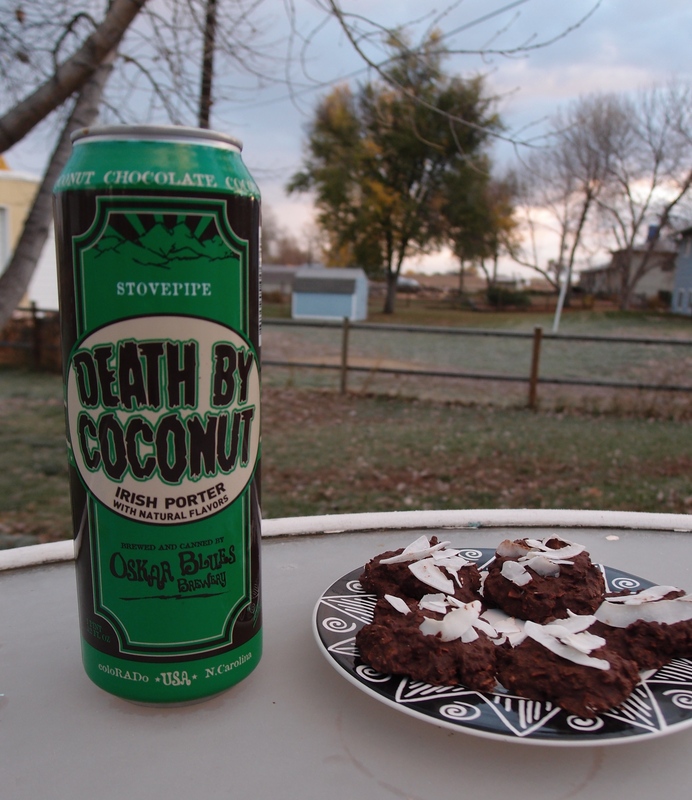 Death By Coconut is an Irish Porter that comes in at 6.5%. I get mostly chocolate in the aroma. It pours a dark color with a tan head that dissipates quickly. 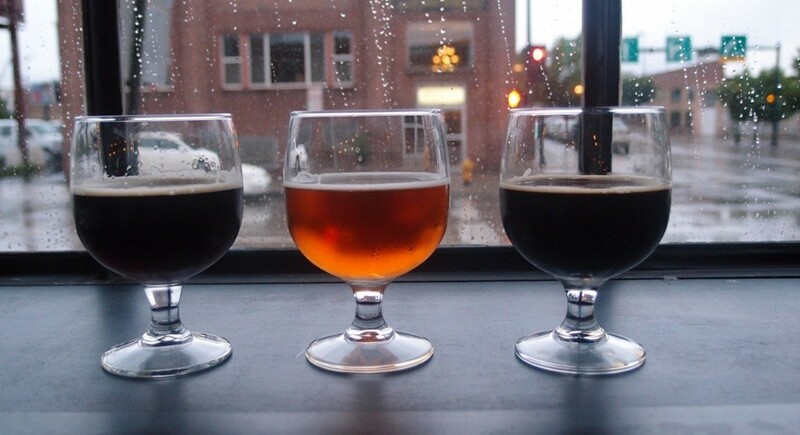 This porter has a much lighter body than most making it easy to drink. There are nice chocolaty and roasty flavors up front and then it finishes with soft coconut. In a 200 barrel tank over 400 lb of desiccated coconut is thrown in to making this beer! 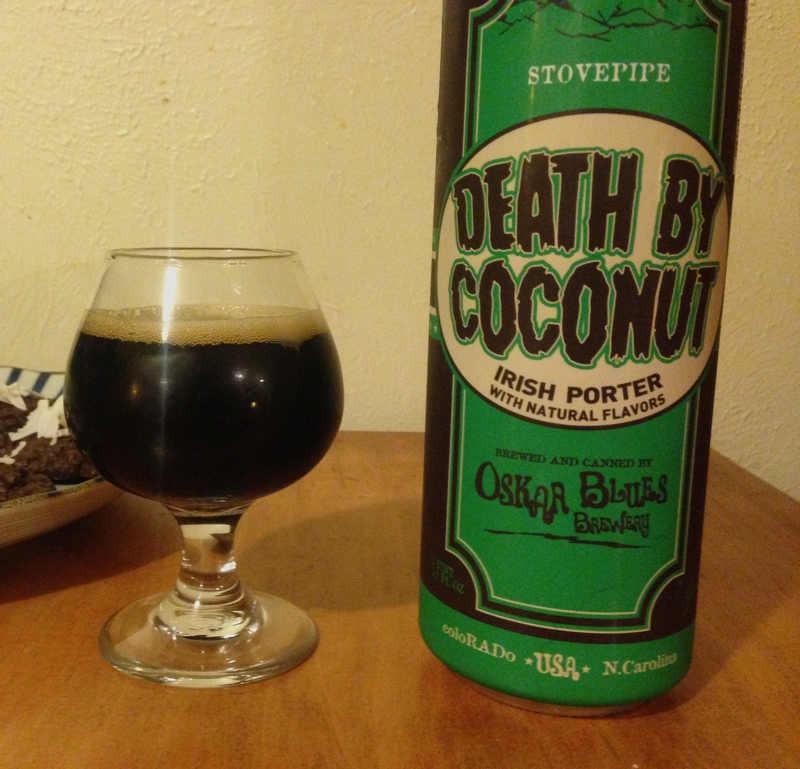 In the coconut mood, I paired this beer with a chocolate coconut cluster. The ingredients are included here to show how simple these are to make; click on the link for the full recipe. Right?! So glad you liked it! I also love the coconut porter from Broken Compass in Breckenridge, CO. However, they don’t distribute at all 😦 Also, to keep getting beer posts, sign up at lillysuesbitesandbrews.com I won’t be posting on this wordpress blog for much longer. Cheers! I am not really a beer drinker but this looks interesting. I do like Guinness! Sounds really nice. You’re right about it sounding like a great holiday beer. I doubt I’ll be able to find that exact beer over here, but I’ll have to seek out a coconut porter or stout of some variety! Nice fall backdrop too, by the way.